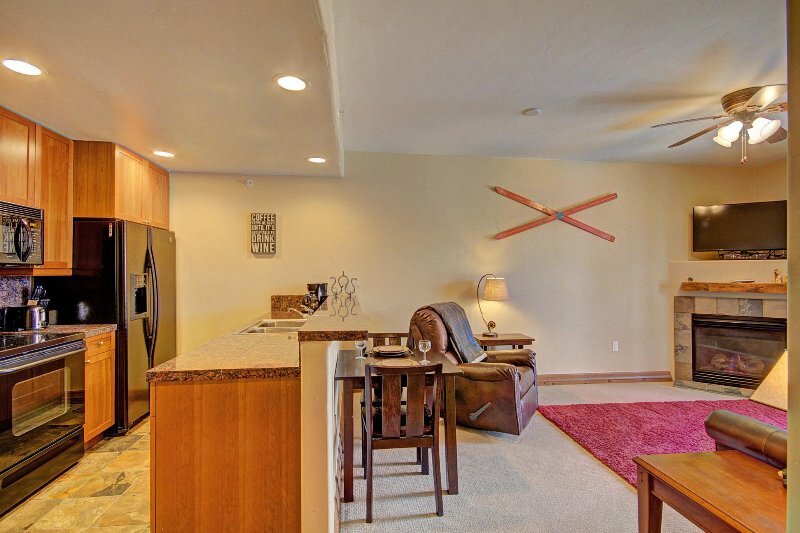 We enjoyed our stay in Breckenridge, The condo was very comfortable for us, it had all the amenities we could think of. We will certainly want to stay there again next time we're in the area. Perfect location. Just far enough away from out of town to be away from the crowds to have some peace and quiet. Well-maintained condo with all of the amenities. 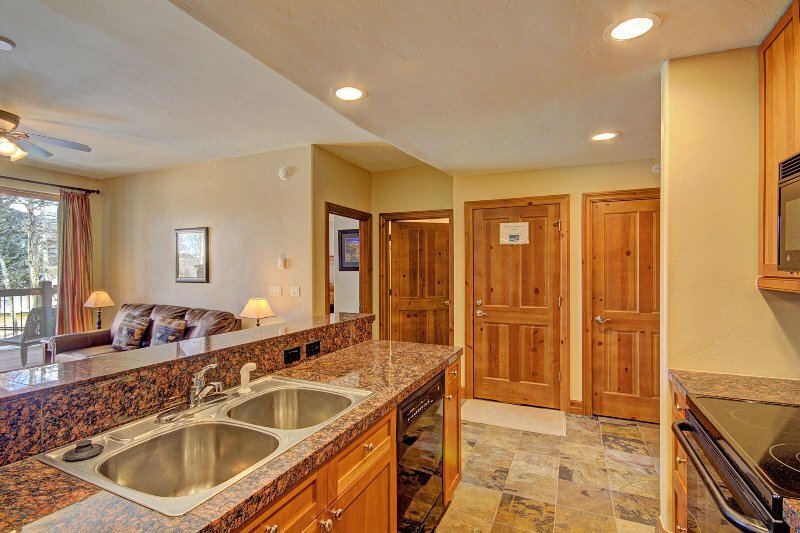 -- Two (2) outdoor hot tubs -- Fitness center/sauna -- Private deck with gas grill -- Gas fireplace *** Exclusive SkyRun Amenity Program - Free Activities *** Over $200 in FREE activities each night you stay! When you book with SkyRun - Breckenridge, youll get much more than lodging and superior customer service. With each nights stay, our guests receive FREE activities and services the entire family can enjoy through our exclusive SkyCard amenity program. FREE activities & services include whitewater rafting, bike rentals, chuckwagon dinner & wild west show, kayak tours, and tumble bubbles. Summer amenity program available Memorial Day to Labor Day. 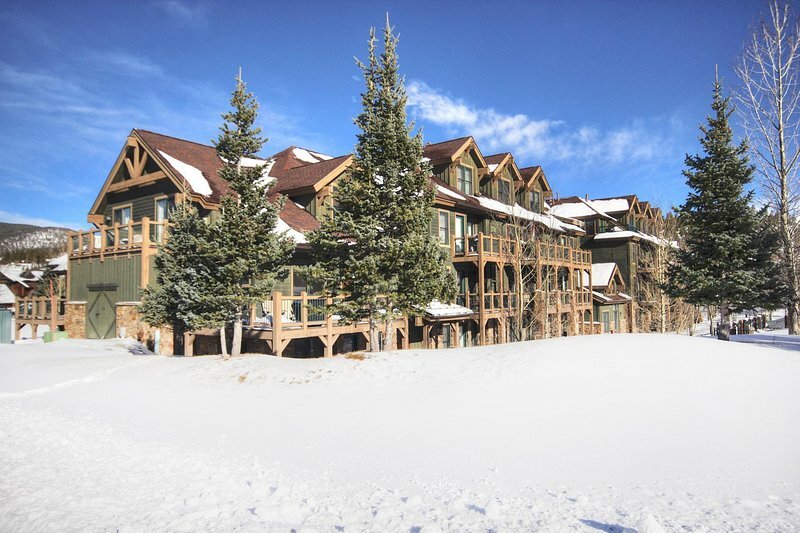 Enjoy this vacation condo in the Highland Greens Lodge located next to the Jack Nicklaus designed 27-hole Breckenridge Golf Club. The perfect getaway for summer or winter. Highland Greens is close to hiking, biking, and golfing in the Summer. In the winter, take advantage of the private shuttle that can take you to town or the slopes within a few minutes. After a day of hiking, biking, or skiing, enjoy the outdoor hot tubs and sauna. This upscale, well finished condo has a gas fireplace and everything to make your stay enjoyable. PRIVATE SHUTTLE TO SLOPES (winter only) Property Features: -- Outdoor shared hot tub -- Fitness center/sauna -- Private gas grill -- In property washer/dryer -- Porch off living room and bedroom -- Gas fireplace -- Plenty of onsite parking -- Access to hiking/biking trails -- Air conditioning: NO. Due to the mild high alpine climate, many properties are not equipped with air conditioning. Getting Around: Take advantage of the free private shuttle service to the slopes or downtown Breckenridge that runs daily during the ski season. The service picks up every hour from 8:00 am - 5:00 pm. An on-call service is available on Friday and Saturday evenings from 6:00 pm - 11:00 pm. Additional amenities include: 583square feet, elevator, gold.